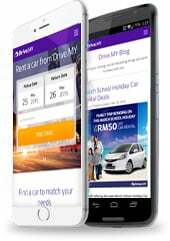 Paradise Car Rental Sdn Bhd, our proud partner of Drive.MY! A Car rental division set up to compliment the travel industry that we and our customers have been enjoying. We provide self-driver cars as well as multilingual skilled chauffeurs to provide the most comfortable drive. You will get the very best value with us as our motto is 'Go Economy, Go Places'. Sightseeing tours and transfers are provided. Choices of daily to weekly are available all based on your convenience. We work around the dock providing a 24 hour service. We provide the car rental in Kuala Lumpur, Malaysia. You will get the very best value with us. We are glad and delighted to provide sightseeing tour and transfers. Choice of daily, weekly and monthly basis all according to your convenience.